This book came highly reccomended to me by the lovely Rebecca Pugh, and she was perfect in saying this is what i needed to read. 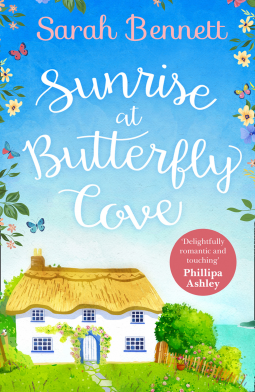 We meet Mia who has had the worst year, and now is her time to turn it around and start again, so what better way than pouring all her energy and feelings into renovating a guesthouse in Butterfly Cove. With plenty of time set aside to fix it up before guests - the challenge doesnt seem all to daunting. When Daniel Fitzwilliam arrives though, all her plans are changed, and suddenly he needs somewhere to stay for the week. Did i not mention that Daniel also happens to be swoonworthy and is stirring something inside Mia? As the pair begin to settle into a day to day routine together working on the guesthouse, a week soon flies by...and its not only Mia that wonders if he could perhaps stay? This was a perfect, it was sweet, heart warming and heart wrenching in equal measures. It had me craving cups of builders tea with bacon sandwhiches. 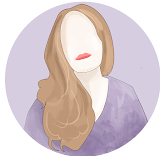 Mia was a girl after my own heart, and everything about her character was just the sort of person you would want in your life. I loved my visit to Butterfly Cove, and it came just at the right time for me.